The Assistant Sales Manager position is perfect for the outgoing and motivated person who loves technology. 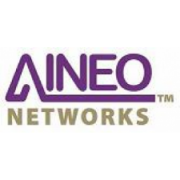 At AINEO, we work with our partners every day to solve their biggest technology and business issues. We even help them unlock new business opportunities by being more effective communicators. We do not require any specific business experience; however, we expect a high level of motivation, a good work ethic and the ability to think-outside-of-the-box and get the tasks done. • Identify new opportunities and leads through daily contact with our partner clients, sales partners, networking, etc. The corporate culture at Aineo is very supportive with a high focus on professional development and complete customer satisfaction.